Viknesh Vijayenthiran February 6, 2019 Comment Now! 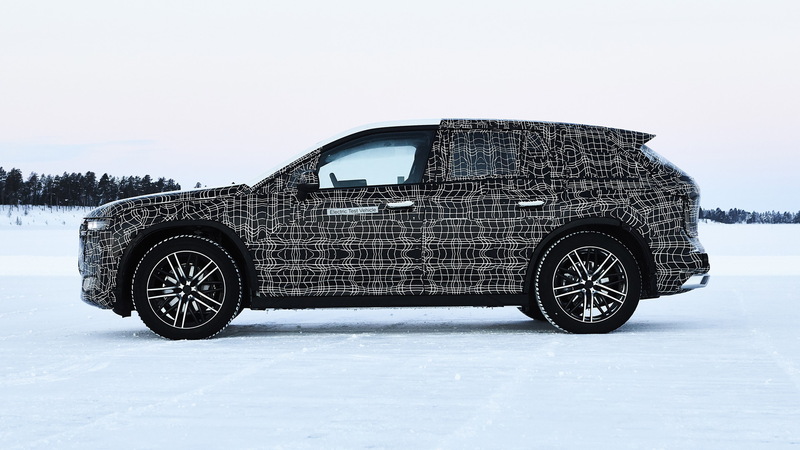 Is the world ready for another SUV? 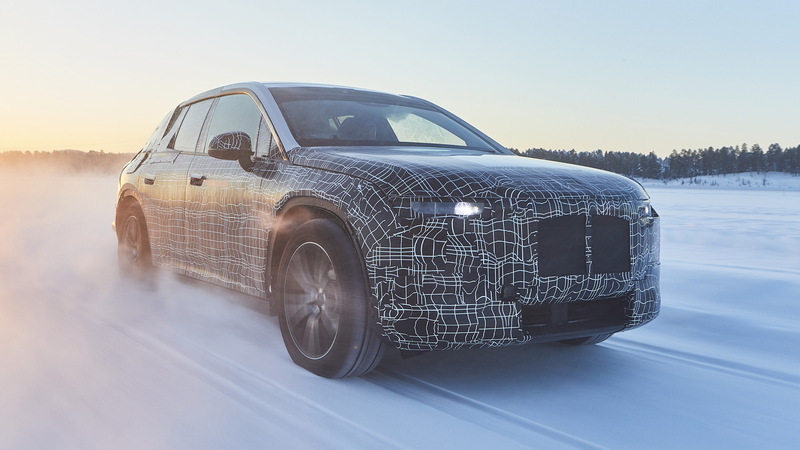 BMW thinks so, and will add to its lineup of high-riding vehicles with the much-hyped iNext electric crossover SUV in 2021. 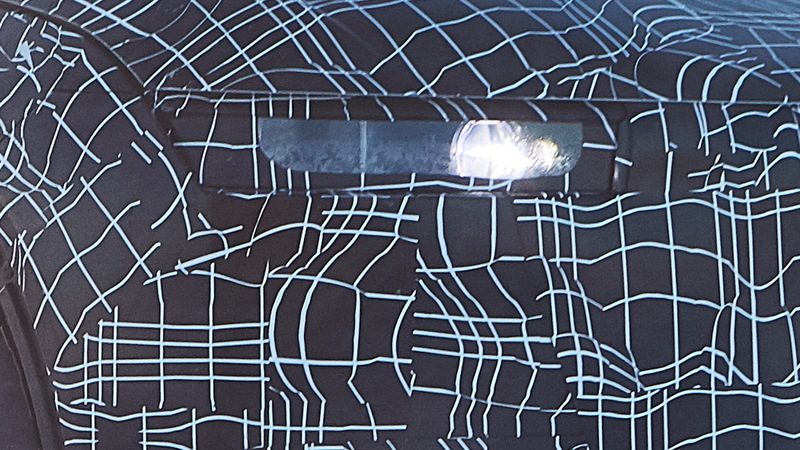 BMW previewed the vehicle last September with its Vision iNext concept car, and on Tuesday the automaker revealed the production version, albeit only as a highly camouflaged prototype. iNext is only a code name, with the final name likely to be a combination of a lower case i and a single digit. A likely bet is i5. Testing is currently underway in northern Sweden, up close to the Arctic Circle. The focus for the engineers at this stage is the performance of the powertrain, chassis and suspension systems under extreme climate and road conditions. Electric cars are particularly susceptible to loss of performance during extreme cold temperatures. 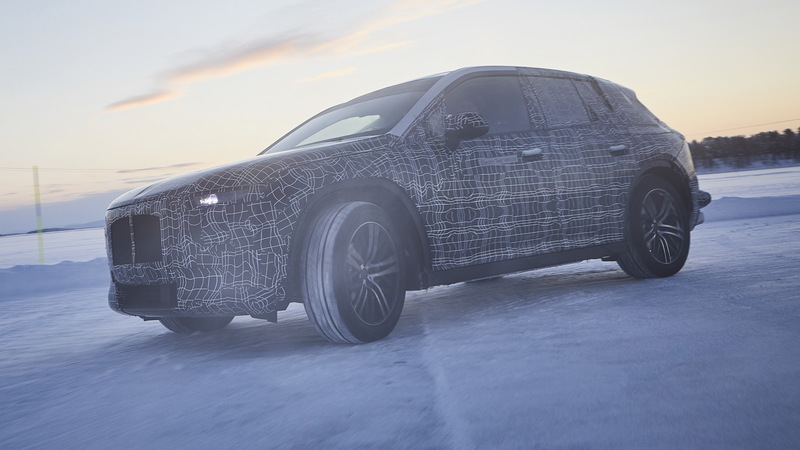 As a result, the engineers examine how sub-zero temperatures affect the electrical hardware, particularly the ability to recharge the battery, the transfer of electricity between the battery and drive system, and the car's heating and cooling systems. 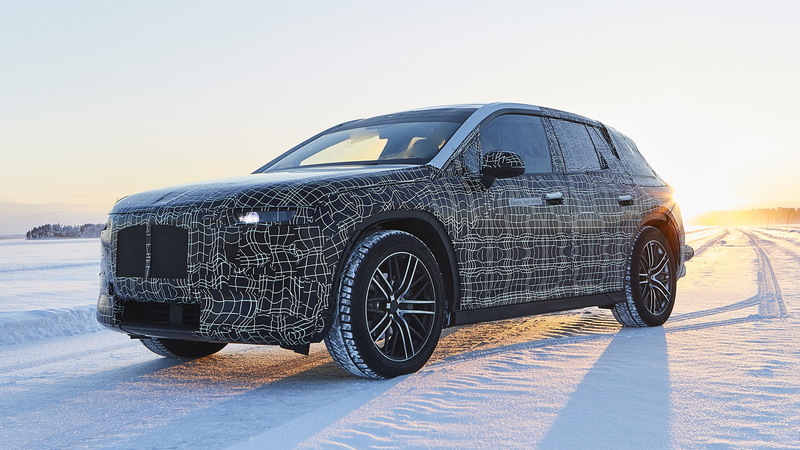 Judging by the prototype, the iNext will be similar in size to a BMW X5. The roofline is lower, though, for a more aerodynamic profile, and the face of the vehicle should sport a unique treatment likely with a sealed-off grille. Inside should be adequate seating for five adults. BMW will position the vehicle as a technological flagship, and being a technological flagship it will incorporate multiple technologies that will define the automaker's cars going into the future, the three main ones being electric propulsion, self-driving capability and advanced interfaces. The iNext will be the first BMW to feature the automaker's fifth-generation battery design. The biggest battery is expected to be a 120-kilowatt-hour unit with over 400 miles of range. It will also be the first BMW with fully self-driving capability. Level 3 self-driving capability will be offered at launch. This will allow drivers to let go of the steering wheel for extended periods of time and even look away from the road. But, drivers must be prepared to take control at any time. No naps onboard the iNext. BMW has stated that Level 4 self-driving capability may be included, but it likely won't be offered to the public at first due to a lack of regulations and sufficient infrastructure. The situations required to initiate Level 4 capability will be few and far between under today's current traffic and roadway layouts. For the interior, the Vision iNext concept likely points the way. The concept featured controls integrated into furnishings that light up only when an occupant brushes a finger over them. Gesture control and natural-speak voice activation were also included. Production of the iNext will be handled at BMW's main plant in Dingolfing, Germany, starting in 2021. We'll likely see the vehicle on sale in the summer of that year as a 2022 model.